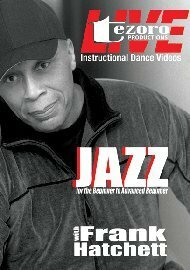 Learn Frank Hatchett’s ‘VOP’ style of Jazz in this energetic video. His style is a blend of strength, funk and individual interpretation, with an emphasis on "selling your performance". Three easy to follow routines designed to challenge the beginner to advanced beginner dancer. Frank’s choreography is filled with energy and excitement, which is sure to inspire you!